Submitted Kabaka Pyramid plays the Mateel. Submitted The scene backstage at the annual Mateel Hoedown in 2014. Photo by Erica Botkin Assassin, aka Agent Sasco, headlined the 2017 Reggae on the River festival. Submitted Construction of the Mateel Community Center Hall was a barn-raising of sorts, built with large amounts of donated materials and labor in 1988. 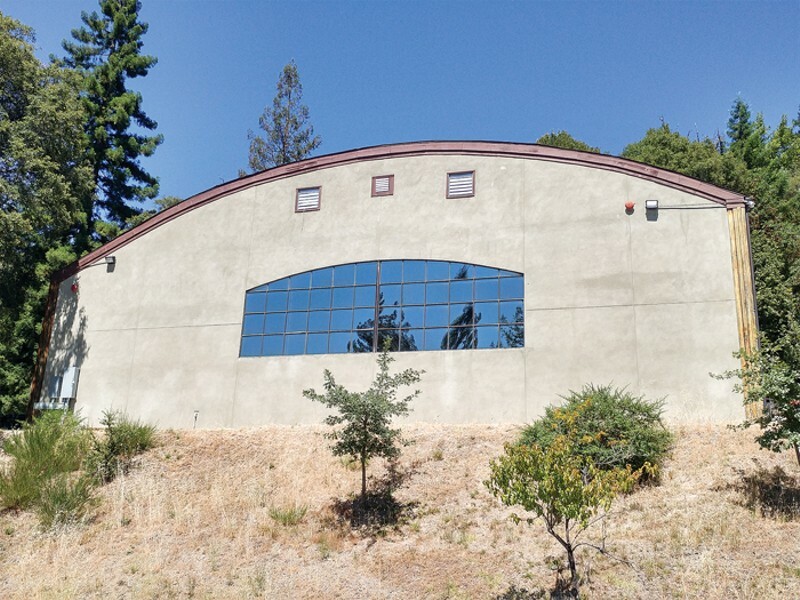 At the end of August, the Mateel Community Center addressed a letter to its supporters, inviting everyone to a Sept. 19 public input meeting and sending shockwaves through Southern Humboldt. "Reggae On The River 2017 failed to meet its budgetary expectations and, for the first time in memory, the production sustained a significant loss," the letter said. "Furthermore, very challenging times lie ahead, there are difficult decisions to make, and the future of both ROTR and the MCC is at stake. " 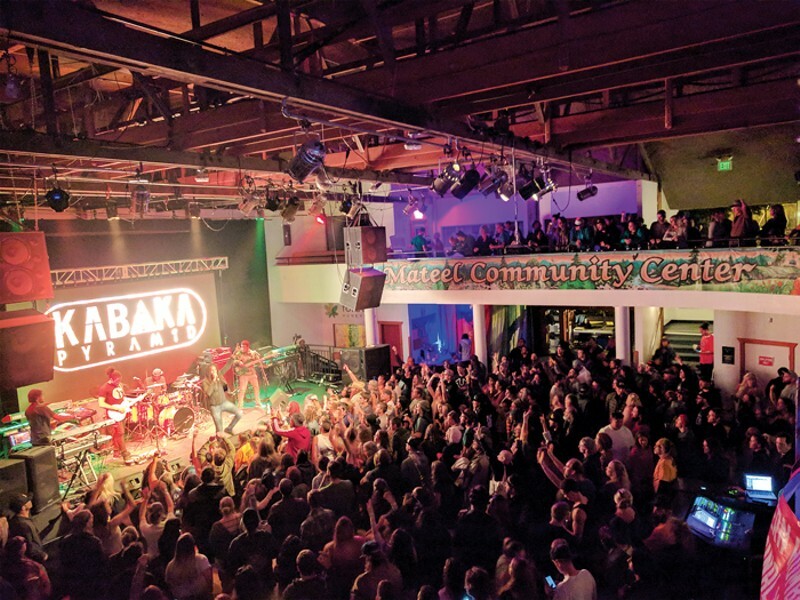 For decades, emerging musicians and performers have come to Southern Humboldt filled with pride at the opportunity to play the tiny venue called the Mateel and take the same stage that has hosted so many legendary performers, from Angelique Kidjo and Michael Franti to Ben Harper and the Red Hot Chili Peppers, who famously appeared for their encore wearing only one sock apiece. 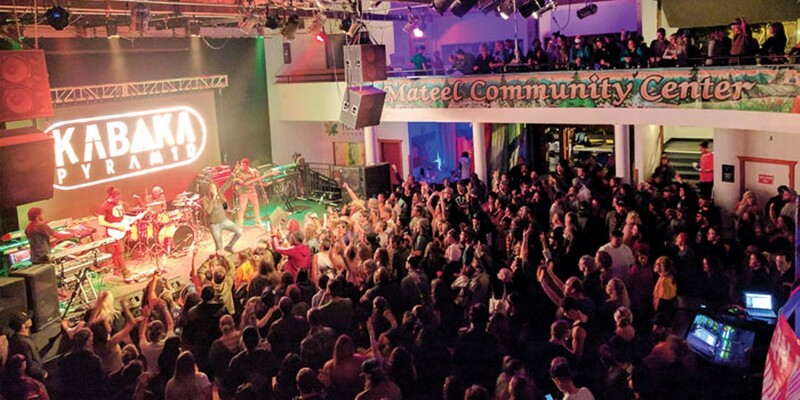 Meanwhile, to a large segment of people in Southern Humboldt, the Mateel Community Center is much more than a music venue. For them, the Mateel serves as the cultural heart and soul of the region. Back to the land transplants began pouring into southern Humboldt County in the 1970s, when telephones, television and radio represented the pinnacle of technological progress, but in this very rural region, electricity itself was hard to come by for anyone more than a few miles out of town. As the newcomers purchased land and took up residence in the hills surrounding Garberville, they spent long days developing homesteads, building homes and growing first food then marijuana. People loved the life they lived, but with no phones, no television, one radio station and multiple miles between neighbors, when they took breaks they wanted to come together for camaraderie. They felt a hunger to build community, hear music and be with friends. From the earliest days, they tended to gather at the old Fireman's Hall, a lovely, funky old space. In 1978, they purchased that hall to formally make it their community center. It infamously burnt down in the autumn of 1983 at the hands of an arsonist. Undaunted, with the energy and optimism of youth on their side, the community rallied to rebuild. The Mateel Community Center opened the new hall by 1988, a remarkable grass roots feat for a small, rural community. Although a building is just a building, this one was essentially hand built by the members and the Mateel became the heart of SoHum's back-to-the-land culture. It's been the place to gather for weddings, memorials, birthdays and family reunions; to listen to world renowned music (Etta James, George Clinton, Merle Haggard, Joan Baez, Bonnie Raitt, Bruce Cockburn); to see the San Francisco Mime Troupe; to watch friends and neighbors perform in the Mateel Monologues and other locally written and produced plays; to applaud local children's dance performances; to find one-of-a-kind Christmas gifts as they bump into old friends at the Winter Arts Fair; and to support the fundraisers of many nonprofits. On Sept. 19, 30 years after it rose from the ashes, more than a hundred community members filled the hall to discuss the problem. Mateel General Manager Justin Crellin outlined the nonprofit's fiscal situation, its history and potential solutions in a 30-minute report that ended with a dire reality: The community center is more than a half million dollars in the red. Crellin ran through the accounting. "From a budget perspective," he said, "the discrepancy between the $140,000 loss on the [Reggae on the River] festival and the $290,000 we budgeted to make on the event in 2017 is a $430,000 difference, underscoring the severity of the situation, and in combination with past debt, explains why our current debt load is $533,000. ... We also still have $142,000 in outstanding bridge loans." 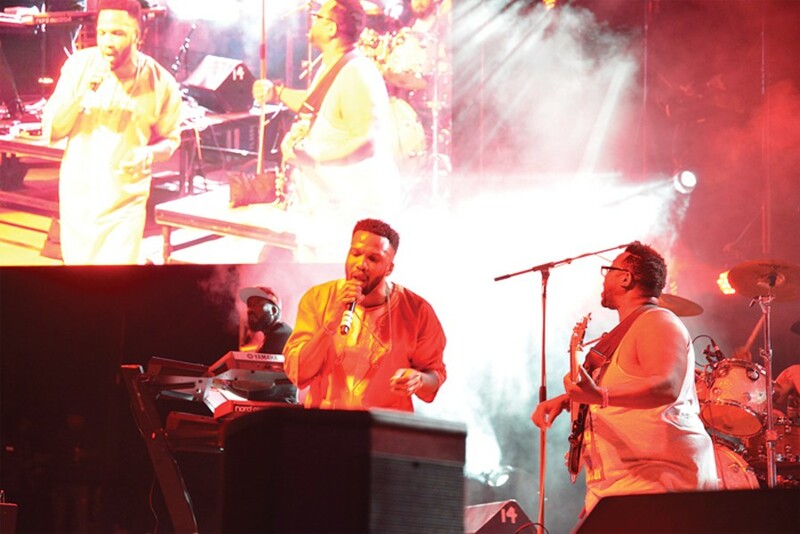 Most notably, Crellin said there is no possibility of continuing the 33-year-old Reggae on the River event in 2018 without a partner or investor. Crellin's lengthy report revealed how the Mateel Community Center's (MCC) finances became so far out of balance. 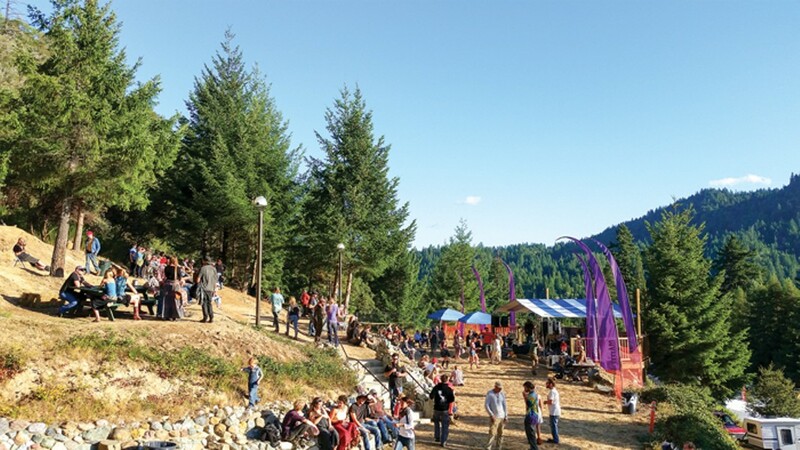 In 2013, Reggae on the River triumphantly returned to its original site on a bend of the Eel River called French's Camp after a tumultuous few years in exile. Crellin described Reggae as having been successful that first year back. However, the following year, Mateel management was quietly stunned when the four-day music festival netted $178,000, only half what had been projected. The shortfall left the Mateel with serious budget problems, prompting the board of directors to accept impromptu loans offered by community members to make up for the lost revenue from the center's largest annual fundraiser. Crellin called these "bridge loans" and said they were just meant to get the organization through 2015. However, the MCC has still yet to fully repay them. "We have only chipped away at them," he said. Earnings from Reggae were strong each of the next two years, according to the general manager and the board. Crellin said ROTR netted $249,000 in 2015 and $278,000 the following year, but the debt from 2014 hung on and propelled the board into a pattern of using online pre-event ticket sales to fund ongoing operations, where they'd traditionally been used to fund the coming year's budget. Meanwhile, expenses at the ROTR venue at French's Camp kept mounting. The Mateel spent about $35,000 for new leach fields for the septic system serving the kitchen and food vendors, $40,000 for engineering and installing shade structures in the concert bowl, retroactive compliance with Humboldt County Planning and Building Department permit codes on every structure on the Reggae on the River venue ran another $30,000. The Mateel also mitigated environmental stressors by constructing a rain catchment pond to use for dust control and lawn for the concert bowl at a cost of about $55,000. All told, the nonprofit poured about $160,000 into the venue. Additionally, in 2014, before the shortfall occurred, MCC began work on maintenance projects that had been deferred for years. Refurbishing the hall's exterior stucco cost about $22,000, with much of the labor donated. The building also received a new roof around that time. After the 2014 shortfall, safety concerns mandated the hall's indoor removable stage be replaced, which was another $20,000 investment. Simultaneously, the hall manager at the time, Johhny Jennings, began a new outdoor stage in early 2014. Overall that stage was completed for around $20,000, including permit fees, due to a lot of volunteer labor and discount deals for the materials coordinated by Jennings. Contrasting 2014 to what happened this year, Crellin explained the shortfall in 2014 resulted from the show's expenses running over-budget. By 2017, he said, the Mateel had reduced festival operating costs and was on track for a financially successful year. However, ticket sales decreased — drastically and unexpectedly — by $312,000 from 2016 to 2017. And with nearly 1,000 fewer people at the venue, the Mateel's sales of beer, merchandise and parking passes were also down substantially. The financial loss at Reggae on the River 2017 has dealt a crushing blow to the future of Mateel operations. It also put a spotlight on the Mateel's four-year phase of deficit spending. Currently seated board members were admonished in a straightforward manner by Agnes Patak, former board member and on-going volunteer. Agnes looked the current board members in the eye and stressed, "I hope you all understand profit and loss [statements.] This went on since 2014 and it just got worse and worse." According to board President Garth Epling, the Mateel's current deficit totals approximately $670,000. It owes $147,000 in loans to community members, the so-called "bridge loans" lingering from 2014. Additionally, there are $131,000 in unpaid bills from Reggae 2017, Epling says, for larger contractors such as the porta-potties, the t-shirt printer, a construction contractor and the rent for the venue. Additionally, the Mateel does not have the $290,000 in Reggae revenue that it had expected and budgeted for annual operations in 2018. These unfunded expenses include salary that will be owed to staff, already past due payroll taxes, unpaid consultant fees and a host of other items. The $670,000 deficit also includes $102,000 that the Mateel brought in last year but was used to pay debts incurred in 2016, the outcome of the Mateel's pattern of using the early online ROTR ticket sales to cover current expenses instead of saving it for the following year's operational budget. Crellin admitted the MCC has already spent the $250,000 it had in reserves. The nonprofit is broke, in debt and without a safety net, leaving the board contemplating which programs to cut and which to keep with its limited budget. Staff is being laid off and those remaining are on "essential hours." When people lined up at the microphone to ask questions and offer input during the Sept. 19 meeting, Jimmy Durschlag, president of KMUD radio's board of directors, spoke. 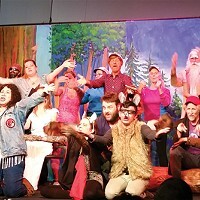 "I was at the fireman's hall when we chose the name from a poem by Jim Deerhawk," he said, emphasizing the interconnectedness of the Mateel to everything else in the area, including other community service organizations like KMUD, Beginnings, Whale Gulch School and Heart of the Redwoods Hospice. "We have always had a cooperative relationship. It's also critical to us that you do well; $20,000 of our budget comes from Mateel events. Just like KMUD, the Mateel is a community essential ... These organizations were created because we needed their services." Reflecting on Reggae 2017, the Mateel and its members face an inescapable truth: It lacked support from the very community it was formed to serve. Advanced tickets for Reggae — the ones typically snatched up by out-of-town buyers — mostly met sales projections. It was the locals who were almost completely absent, prompting Crellin to ask during his presentation, "If the locals don't come, then who are we doing it for?" Meanwhile, comments from the public shone a bit of light on the complex facets of the diminishing local support for Reggae on the River. After Crellin finished, a woman stepped to the microphone and said she was born in Briceland in 1975 and grew up attending Reggae. She said that Carol Bruno, the woman who spearheaded the festival on behalf of the Mateel for decades, hadn't yet been mentioned and needed to be given credit because "she knew how to throw one hell of a party." She also said that when she returned to Southern Humboldt and Reggae on the River after an absence of many years, "I didn't recognize it as the same festival ... 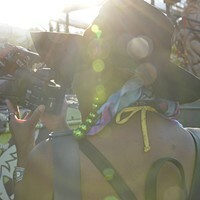 I didn't see anyone I know," she said, before assailing Reggae's new emphasis on VIP passes instead of families. "Good luck with your Reggae," she said before walking away from the microphone looking hurt and angry. Although echoes of these statements had been heard around the community, no one else in the hall shared them publicly with the board. But these sentiments highlight part of the alarming issue of community disinterest. When Reggae began, it was a communitywide celebration to raise money to build the Mateel Community Center hall. Just as the construction itself was an all-inclusive effort, everyone also participated in the Reggae fundraiser. At the festival, there were basically two wristbands, backstage and general admission. Everyone who participated or volunteered was backstage. Everyone backstage — artists and crew — shared the same hibiscus tea and danced in the viewing stands side-by-side. The enthusiasm and unity created a unique, one-of-a-kind, atmosphere. And the money flowed in behind that, with people coming as much for the experience as for the cutting-edge lineup. And the money flowed not just to the Mateel — a host of community nonprofits like EPIC, Sanctuary Forest, Beginnings, KMUD radio, schools and fire departments had successful fundraising booths at Reggae on the River that kept them flourishing, too. In sharp contrast, KMUD was the only nonprofit that operated a booth at Reggae in 2017. Several turning points stand out. 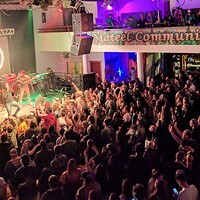 Back in the mid-1990s, Mateel membership decided the community center should separate from the business of music production. As a result, People's Productions came to life headed by Bruno as an independent production company to allow the Mateel to focus on the community. However, circumstances, in the perfect light of hindsight, were probably predisposed for misunderstanding and conflict. People's Productions staff, including Bruno and Paul "PB" Bassis, had been deeply invested in both the Mateel and People's from their inceptions. Sadly, by 2007, People's Productions and the community center were in court litigating "ownership" of the reggae festival. The lawsuit represented a tear in Mateel community cohesion that has yet to be fully repaired. The litigation ultimately assigned ownership of Reggae on the River to the Mateel but denied it use of the festival's Conditional Use Permit, which was in the landowner's name, so Reggae was scaled back to a one-day festival at Benbow State Park. It grew to a two-day festival there and then returned to French's Camp in 2013 as a full weekend event. While "baby reggae" at Benbow was not the free-wheeling blowout the French's Camp version had become, many locals preferred the smaller, calmer, family friendly event. And Crellin admitted the Benbow version met the Mateel's fundraising goals, and did so with much less financial investment on the front end. But he also said the Mateel felt Benbow's lack of camping was "a matter of diminishing returns" because it dispersed volunteers, artists and attendees to widely scattered campgrounds, creating liability and logistical dilemmas. 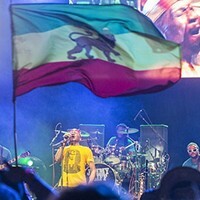 When Reggae returned to French's Camp, the challenging workload of the festival returned with a fourth day added as a permit condition to appease the California Highway Patrol, which wanted to better distribute incoming traffic. The fourth day added to the commitment required by everyone involved. The Mateel also introduced ticket and camping upgrades as a way to increase revenue without increasing attendance, which was an important permitting issue. But this meant the viewing stands became divided, with artists and special guests on one side and the crew on the other. Meanwhile, the Mateel also favored a "working backstage" atmosphere, so the hibiscus tea went to a segregated volunteer lounge. The camping upgrades favored the VIPs instead of families for shady campsites. It's only in hindsight that the cumulative impact of these changes on the spirit of Reggae on the River became so distinct. As Crellin said at the end of his analysis, "It's all these things, all combined." On Sept. 25, six days after the initial community meeting, the Mateel Commuity Center held a four-hour board meeting. About 50 members of the Mateel community witnessed the board suspend the Mateel's free meal program and watched Crellin resign his post as the Mateel's general manager. Board Member Dusty Hughston told the room that the board was in agreement on how it hopes to handle the future of Reggae in light of present circumstances. It prefers to lease, not sell, the festival and to receive a set fee up front from the new producer, who would be expected to keep local nonprofits involved and maintain the festival's eco-conscious approach. Hughston also told the room that the board hasn't ruled out borrowing as a part of a potential solution, though everyone else has spoken against taking another loan on the Mateel's property. The nonprofit's free meal program, the Mateel Meal, seemed to hold as much interest for everyone as the nonprofit's finances, the discussion of its fate stretching two hours. The meal began as a "Stone Soup," feeding volunteers working to build the hall, but all who were hungry were welcome. After the hall was completed, that "Stone Soup" custom evolved into a two day a week lunch cooked by volunteers and formally named the Mateel Meal, but generally referred to as simply, "The Meal." As with most programs of its nature, the hardest people to handle get the most focus from the community, even if they're the smallest number in the group. Many people say the meal program is a problem, drawing homeless people to the area. Paul Henninger, an architect of the meal, said these are old complaints and reminded the board of the Mateel Meal's history and purpose. Henninger and Babette Bach, the current meal coordinator, both said the most troublesome people do not eat at the meal very often. 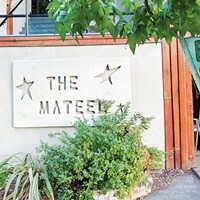 But the Mateel's resident caretaker Eric Kay and Tanya Malley, the sponsor and ad manager for the Mateel, questioned whether the meal's costs are justified. Kay noted the center's floor has to be refinished more often because of daily moppings and the bathroom plumbing is impacted by homeless people shaving and bathing, leading to some costly repair bills. Both also spoke of safety concerns. Hall Manager Dan Whyte questioned whether supporting the meal stands in opposition to supporting the kids' programs. "The program is well intentioned," He said. "'Stone Soup' got this place built. However, the program has become a strain. The meal is the only program that impacts every other [program] ... it alienates the community ... . If the meal is what we stand for, how about the kids? Do we stand for them? Are we building with the families?" A letter from Katherine Guillette, coordinator of the Spring Arts Collective, which supports youth artists and musicians, suggested the Mateel Meal is a learning opportunity as well as a problem. "Do we hide this side of our community or do we expose it?" she asked. Guillette wrote that she sees the meal as an opportunity to teach about choices, compassion and tolerance. And noting the Mateel's use of CalFresh grant money to become a certified commercial kitchen, Guillette also asked, "Is it ethical to drop the program when we have financial trouble?" Amy Terrones, director of the Southern Humboldt Family Resource Center, spoke in support of the Mateel Meal. At the center, Terrones sees the impacts of the changing economy due to marijuana legalization. This year, she said she is learning from 7 and 9 year olds about "falling pound prices" and loans on water tanks that parents are struggling to repay. Terrones enumerated the extent of the problem. Her first year at the center, she said, 11 kids needed weekend food from the Backpacks for Kids Program. This year, her third, 43 kids utilized the supplemental nutrition program, a quadrupling of hungry kids in two years that has her very concerned. These are local families who are losing financial support from the marijuana economy as it changes, she said. And many of them are families who are stunned to find themselves on the receiving end of social safety nets. A man who identified himself as "Brian" illustrated the organic, community-building role the meal has had since its "Stone Soup" days. Brian said he arrived in Southern Humboldt last year. He found the meal because he was hungry, began volunteering in its preparation and came to love the community center. 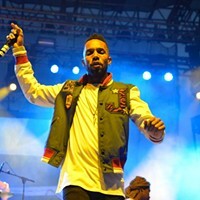 Brian then stepped up to volunteer long, hot days doing the physically demanding work of helping put up tents, fences and other "site work" at the venues for Mateel events, including Reggae. While doing this, he met people, found full-time employment and came to love the local community that he said he now wouldn't dream of leaving. Brian is not alone. The Mateel Meal coordinator estimates a dozen people a year can tell a similar story. No one from the community spoke in favor of suspending or eliminating the meal. However, the board said preventing economic collapse was its biggest priority. The Mateel Meal has been suspended at least until the end of the year and it is a realistic possibility the center won't be able to host it come Jan. 1. Also at the board meeting, Crellin said his role as general manager was adding to divisiveness on the board. "The board has tough choices to make," he said. "We are seeing factionalizing internally because of these tough choices. My role has become a polarizing force. What the Mateel needs now more than anything is unity ... I am here to offer support for the future ... You will have my support from the outside." This sent out new shock waves into a group already grieving. Board President Garth Epling responded, "This brings a tear to my eye, honestly. [Crellin] has all of my respect for what he just said ... in his willingness to sacrifice himself to move forward." Former board member Jackie Pantaleo leapt up fuming mad. "Who will take his place and with what salary?" she demanded. Privately, those close to the Mateel say Crellin has been working without his salary since Reggae or shortly thereafter. Andrew Burnette, another former board member and longtime volunteer, reminded the board that Crellin has been with the Mateel almost 20 years. "No one is more dedicated," he said. "He has the institutional knowledge from before and through the lawsuit. The Mateel used to lose $10,000 a year on the Summer Arts and Music Festival. His actions and ideas are what changed that." In every possible way, the Mateel finds itself at a crossroads, reexamining its relationship to the fundraiser that built it and that with its longest tenured employee. At the board meeting, Lynn Ryan urged the board to see the current crisis — the deep deficit and Crellin's resignation — as an opportunity for it to step up and carry the Mateel forward. "Our economy and sociology have changed, and we need to change," Ryan said. "I see an opportunity." Kelley Lincoln reports for the Redheaded Blackbelt and KMUD News. She has been involved with the Mateel Community Center — volunteering and at festivals — since 2005.